Another one of my go to favourites, Anne Gracie knows how to write a book that touches the reader emotionally as well as writing stories with realistic characters and situations. I was looking forward to her new series for a while and while I can’t say I was completely blown away, I really enjoyed this first installment in the Chance Sisters series. The premise might have been a bit too far fetched this time (4 poor unrelated girls are taken in, given new lives and made rich by a total stranger–really??) but then this is a romance novel and not non fiction after all and I loved how fairytale-like it all seemed. Plus, Anne created some intriguing characters in the four girls (one is a maidservant and another is from a brothel!) although I didn’t particularly connect with the heroine of this book. She was a bit too cookie cutter, standard heroine in my opinion. I did love their benefactor Lady Beatrice though and laughed my way through several scenes in this book as well as teared up at the more touching moments between Beatrice and the girls. My main problem with this book though was that there was too much focus on the whole girls moving in and starting their lives and connecting with Beatrice to have much time for the romance itself between Abby and Beatrice’s nephew Lord Davenham. Don’t get me wrong, I loved reading all the scenes between the girls and Beatrice but this is a romance novel and the romance honestly felt quite rushed and it was almost like the author herself just used it as a convenient way to get the rest of the more interesting girls set up in society by hooking one of them with the heir to the estate. I get this is the first book in the series and it has to set the scene for the rest of the series but there was way too much exposition in this book and not enough romance. Actually I felt the book should have been longer. I remember being 30 pages from the end and realizing that the main couple were still in the first stages of their courtship and denying their attraction to each other. Despite Abby being cookie cutter, there could have been a decent enough romance if it was left to develop a bit further. I enjoyed what I did read but it was just over too fast. Lord Davenham swoops in, spends half the book trying to expose Abby and her sisters as villains trying to take advantage of Beatrice and then realizes he loves her at the very last moment (aka 20 pages from the end) and swoops back in to sweep her off her feet. The End. Other than that failing, the book was enjoyable and I had a good time reading it. Hopefully with the exposition out of the way now, there will be more focus on the other girl’s romances in the next few books. This was still a worthwhile read with a lot of good moments. Verdict: Pretty good even if the romance was lacking. A great start to a new series! Romances Coming in April 2013! Here are this month’s top new reads! London weather is chilly—and the social scene even more so. But her careful masquerade is shaken when she meets her pupils’ mentor, Lord Rupert Myers. An incorrigible flirt, Rupert has the looks and the charm to make Sarah blush all the way down to her high-buttoned neckline – and the determination to uncover what’s beneath! Sarah will need her wits about her if she’s to resist Rupert’s roguish ways and keep her secret intact…. Lady Katherine Redgrave has one mission—to find her deceased father’s journals, which may hold the key to a traitorous conspiracy that puts Kate’s family in danger. Kate vows to let no obstacle stand in her way…but when she meets Simon Ravenbill, Marquis of Singleton, her attention is diverted as the sinfully handsome nobleman tempts her beyond reason. Simon has a mission of his own: to uncover the truth about the secret society he believes murdered his brother. All he needs is to get to the Redgrave journals before Kate does. The solution is simple—he’ll romance the fiery beauty in hopes of distracting her from her quest, all while covertly searching for the diaries himself. Yet what begins as a charade soon becomes an all-consuming desire…one that could lead them down the most dangerous path of all. Considered the plain, clever one in her family, Lady Cressida Armstrong knows her father has given up on her ever marrying. But who needs a husband when science is the only thing to set Cressie’s pulse racing? Disillusioned artist Giovanni di Matteo is setting the ton abuzz with his expertly executed portraits. Once his art was inspired; now it’s only technique. Until he meets Cressie…. Challenging, intelligent and yet insecure, Cressie is the one whose face and body he dreams of capturing on canvas. In the enclosed, intimate world of his studio, Giovanni rediscovers his passion as he awakens hers…. Having spent years believing a lie about his birth, Dr. Samuel Hastings has been condemned to a personal hell of his desire’s making—his sinful thoughts of the one woman he can never touch would damn his soul for eternity. Lady Evelyn Thorne is engaged to the very suitable Duke of St. Aldric when a shocking truth is revealed—and now Sam will play every bit of the devil to seduce the woman he thought would always be denied him! Having survived the scandal of her birth with courage and determination, the beautiful Phyllida has reached a precarious balance within the ton. And in just one moment Ashe Herriard, Viscount Clere, blows her world and her carefully made plans to pieces. Brought up in vibrant Calcutta, Ashe is disdainful of polite London society, but something about Phyllida intrigues him. There’s a mystery surrounding her. A promise of secrets and a hint of scandal—more than enough to entice him! Tristan Bradley, the notorious Marquess of Castleigh, is a danger to any woman’s reputation. Devastatingly handsome and devilishly seductive, he delights in the challenge of a lovely new conquest—especially when she’s engaged to a man he despises. But when this particular young lady asks him to dance, Tristan realizes he may not be the only one playing a game. Defiantly bold and disarmingly beautiful, Lady Charlotte Lindsey will do anything to break free from her loathsome fiancé—even destroy her good name to do it. What better way to seal the deal than a tryst with Lord Tristan, who’s led many a girl to ruin? But when Charlotte looks into his eyes—and Tristan takes her in his arms—all of their schemes melt away…because the heart has a plan of its own. Lady Margret Chattan, one of the most desirable women in all of England, has no interest whatsoever in marriage. When her brother’s lives are put in danger, she travels to the Scottish Highlands, intent on saving them. There she meets Heath Macnachtan, who is trying to find out who murdered his own brother. Together, they team up to investigate the powerful curse that is behind the deaths, but instead find themselves falling in love. Exceptionally entertaining and charming, The Devil’s Heart mixes a well-crafted love story with complex characters and pulse-pounding adventure. Veronique Montagne was desperate when she agreed to kidnap a prince to settle her profligate father’s gambling debts, and certainly didn’t imagine that her prisoner might sweet-talk her into helping him escape. Saving her home is now the least of her troubles, especially when the attraction simmering between her and the angry prince blazes into true passion. Lord Rafe Eason may be of noble blood, but survival taught him to rely only on himself and to love no one. Yet when he sets his eyes on Miss Evelyn Chambers, and earl’s illegitimate daughter, he is determined to have her, if only as his mistress. Risking scandal, ruin, and their own reputations, Sebastian and Clara enter into a marriage of convenience. But the pair soon discovers that their undeniable attraction is anything but convenient. Swept up in a crescendo of desire, Sebastian and Clara take each other to new heights of ecstasy–until secrets from the past threaten to doom the duet forever. Now Sebastian will have to change his tune-and prove his love is true. A successful horse breeder and self-proclaimed rake, Harry Lester samples women like wines. But after having his heart trampled by someone he actually loved, he has no intention of falling for a woman again, let alone being ensnared by the trap of marriage. Now, with a large inheritance to his name, Harry knows that he’d best start running from London’s matchmaking mothers and widows. Harry heads for the racing town of Newmarket, only to encounter Mrs. Lucinda Babbacombe, a beautiful, independent widow. And before he knows it, Harry vows to protect Lucinda from the town full of lonely gambling men, despite her refusal to accept his countless offers of help. Lucinda is extraordinary—an intelligent, tender woman—but will Harry let himself be taken prisoner in this most passionate of traps? Love the Lords of Vice? Then you will love her latest book! Delilah’s returning to her highly acclaimed School of Gallantry series next year with Book 3 after a 3 year hiatus. And check out Delilah’s book trailer for her latest book and the final in her Rumor series, Forever a Lord, out December 18, 2012. 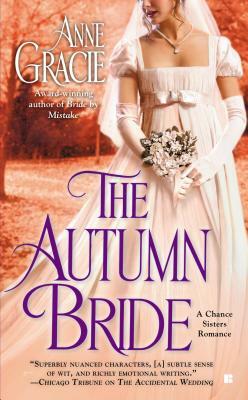 Anne Gracie pens another great romance full of tension and emotion. Despite my initial caution over the done-to-death premise, this book ended up being quite a winner! Anne takes the usual amnesia plot and gives it a fresh twist. The hero is a famous and wealthy diplomat who falls off his horse, hits his head and ends up in the care of a young, impoverished woman with-wait for it-five children under her care. Not exactly the most perfect of matches. Of course the romance would have only worked if he had hit his head and forgotten his own name. Amnesia plots are one of the most used romance tropes so I thought there could be nothing new in the telling of this story, but I put my faith in Anne’s storytelling abilities. And I’m glad I did because even though the story was too predictable, the characters and the interactions between them made me keep reading. First off, the wonderful heroine Maddy Woodford who’s worked her hard her whole life and is pretty much Cinderella, except with five young siblings. I love how she’s strong, determined and optimistic and yet vulnerable in the sense that she’s been alone for too long. Nash was a great hero too, willing to protect Maddy even though all he wants to do is take her to his bed. 😉 These two were adorable and great together and you just couldn’t help but root for them. And the children! How adorable they were! They really added to the flavor of the book and I enjoyed reading their interactions with the hero. There’s also a dash of mystery too in a mysterious person who wants to boot Maddy out of her home. Verdict: Give this one a shot! It’s worth it! 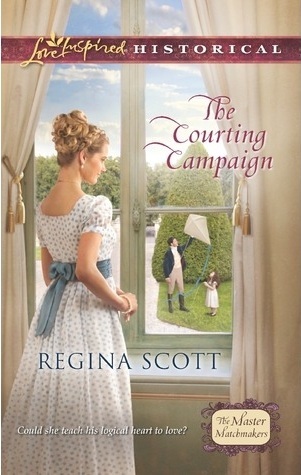 Anyone who loves the work of Tessa Dare will enjoy this fresh, witty, sparkling Regency romance with a twist! This is a redemption story featuring the jilted fiance from Follow My Lead and her childhood friend. Brokenhearted, Sarah has decided to make herself over and becomes a cold, calculating b—-. Well you get the idea. The only person capable of saving her from herself is the one man who knew her best as a carefree, friendly child. Things progress predictably at first with Jackson meeting our aloof heroine and wondering what happened to the nice girl he once knew. But things take an unexpected turn when Jackson decides to disguise himself as Sarah’s childhood idol the Blue Raven (a famous national spy) in order to elicit a reaction from her and discover if the real Sarah is still there. The premise is a bit far fetched but it’s fun and makes for a lot of funny scenes. And things get even more interesting when Jackson’s disguise leads him to a real murder! As a couple, Sarah and Jackson are wonderful together especially those moments when Sarah lets down her guard. It was a great idea to make Jackson a childhood friend as it made it a much more satisfying ending for a heroine I felt very sorry for in the previous book. I would have liked to have seen more of Jackson and Sarah reminiscing on their childhood memories though as I felt the mystery aspect took away from that. Another great thing about the book was the history. You can tell Ms Noble did her research and there were a lot of new things I learned about the 1800’s like the war between Britain and Burma. I love the way she writes as well: It flows, it’s poetic, funny and very witty.